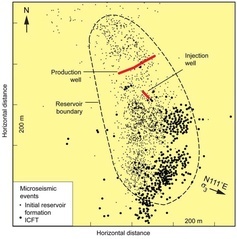 Distribution of seismic events that define the seismic volume of the Phase II reservoir at Fenton Hill. 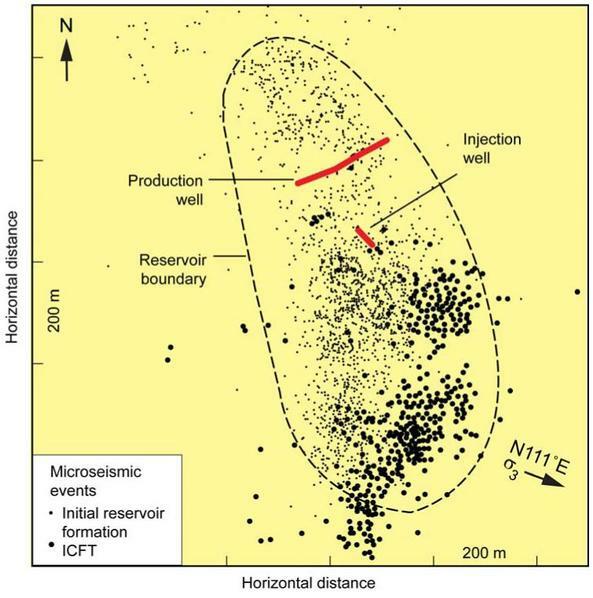 Injection (EE-3A) and production (EE-2) wells, and the direction of least principle earth stress (sigma 3) are also shown. Figure 2 from Brown (2009). This page was last modified on 19 May 2014, at 14:39.